Originally published in 1825. 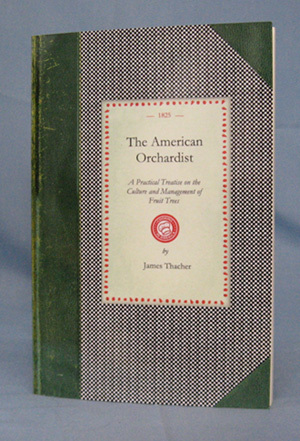 This book contains an extensive discussion of orchard management and separate discussions of each fruit, including diseases for many of the fruit trees. Because of the importance of apples, 78 varieties are described along with a discussion of making cider. After apples, pears, peaches, cherries, nectarines, plums, and other fruits are discussed in varying detail. Most of the fruits include a listing of varieties and sometimes a discussion of the different properties of the varieties.